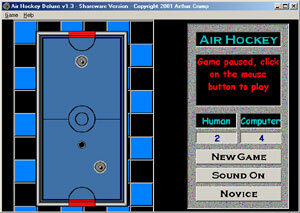 Play an arcade style air hockey game on your computer. This game uses realistic motion and game play. Designed for both the novice and experienced air hockey player, both will find the game quite challenging.